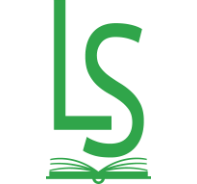 The collection of scientific papers “Linguistic Studies” is the journal supporting the initiative of open access to the scientific information. All the papers of the collection are free to read, download, copy and share for the scientific or educational purpose to all users immediately upon publication, provided the author and the journal are properly credited. Both Editorial Board and Editorial Council hold to the terms of the Creative Commons Attribution-NonCommercial license (CC BY-NC).